Thread: Moved to another city/state and Discount Tire locations are very far now. Hi there, Thank you very much for being apart of this community. I recently moved from North Carolina to Fargo, North Dakota and noticed that the closest Discount Tire location is almost a state away. I was very surprised as I've used DT's services for almost a decade now. Does Discount Tire work with other companies for installation? Why I ask is I have a credit line with Discount tire. 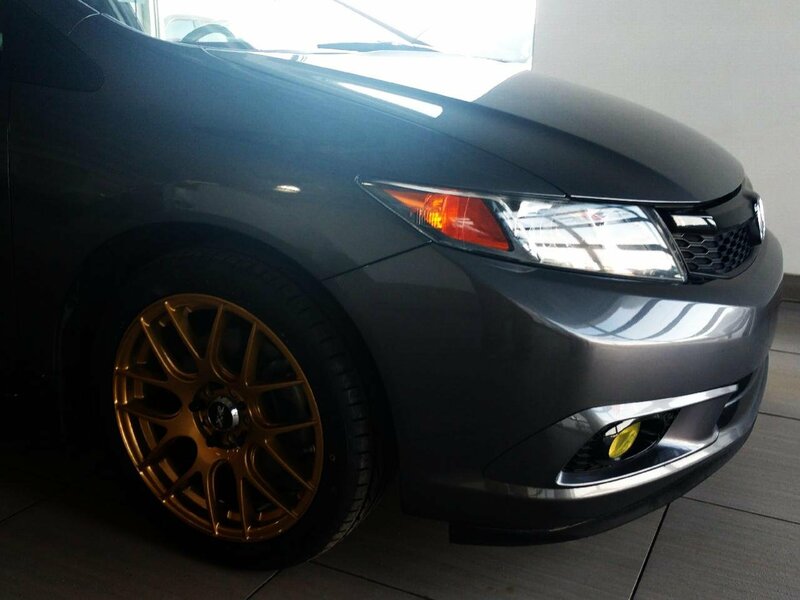 And my next question is Ive been looking around online on the Discount Tire Direct store and there are many options for my 2012 Civic SI Sedan, but I ended up finding a wheel that I quite enjoyed on the CarID website and was wondering if it was a wheel Id be able to get through you guys? The wheel is the "Aodhan Wheels DS01 Black Vacuum". Im not exactly sure if it would fit my vehicle but when I was on that site it said it would, soooo not my expertise XD. If the CarID website said a wheel-in-question would fit your car but you're still not sure, why not call them? Search engine (not Google, tho - they sell you like a cheap wh0re) is your friend. Also another reason why I was wondering if Discount Tire would be able to get said Wheel is that I have a credit line with them already. But still thank you, ill give CarID a call! Thank you for reaching out and welcome to the site, 6ick_SI! First and foremost, thank you for your continued support of Discount Tire! We know there are a lot of options in the tire and wheel space, so thank you for the business! Second, we're not out your way just yet (as you've found) but we are opening stores in new locations on a regular basis so it may not be too long until we have a brick and mortar presence in your area! In the interim, you can use Discount Tire Direct (DTD). DTD is the online/mail order division of Discount Tire and they also except Discount Tire credit. They also have a recommended installer list as scottyrocks graciously pointed out in which you can leverage for installation if need be. Keep in mind that we are not affilitated with the recommended installers and you are free to use whom ever you'd like for installation without pentalty. Lastly, DTD can order many wheel brands not listed on the site - shoot us a PM with what size you're after and we'll gladly see if the wheel you want can be special ordered and confirm fitment. I'll add that DTD also mounts and balances all tire and wheel packages for no additional charge, so if you need tires too that's a great way to save! Thanks again for reaching out and for giving us the opportunity to help! Last edited by Discount Tire; 03-04-2019 at 08:40 AM. This is fantastic information both Discount Tire and ScottyRocks!!! I will def. Get back to you Discount T. in the PM more than likely Next week as its going to start warming up and Ill be ordering many great things for the SI to install. The Mount and Balance from DTD also is something I would def. take advantage of which would make installation a breeze, so thank you for pointing that out as well. I cant wait to work with you all again as I've had a little over a decade of amazing service from you guys!! We look forward to hearing from you, Joe and thanks again for your continued support - we greatly appreciate it! 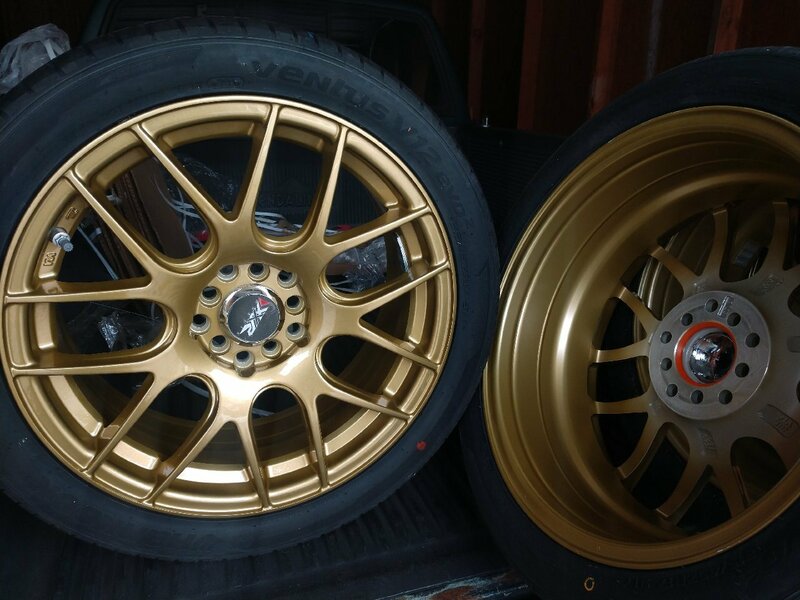 Set of XXR 530's which are 17"-7 which is stock fitment. I feel the SI already sits nicely with this size wheel. I may in the distant future go with something an inch bigger for show days. 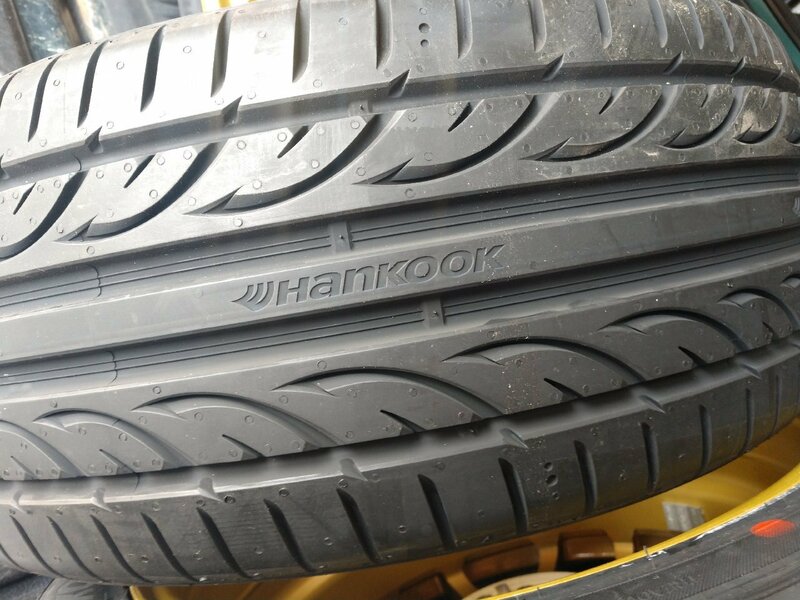 Set of Hankook Ventus V12 Evo2 Tires which are 215/45R-17. They look and also for the 10 miles Ive driven on them, grip nicely! The comfort level is softer than the more firm feeling of the Michelin tires I had on it before. Over all I'm more than pleased with the interactions with the Discount Tire crew as I always have a Great Experience and I am happy with my choices for fitment on the SI. I look forward to a very fun Summer. Looking good. Not a huge fan of XXR, but that style and color look great on the car. Amazing what a difference new shoes makes. Wow - the transformation is awesome!!! Thank you for sharing, Joe and for giving us the opportunity to help! Those gold rims look sweet. Congrats. Full-Race 3" exhaust moved back? Yes, it moved back! Pasadena MD Owners - can we get the county/city/state to pay for damaged tires?